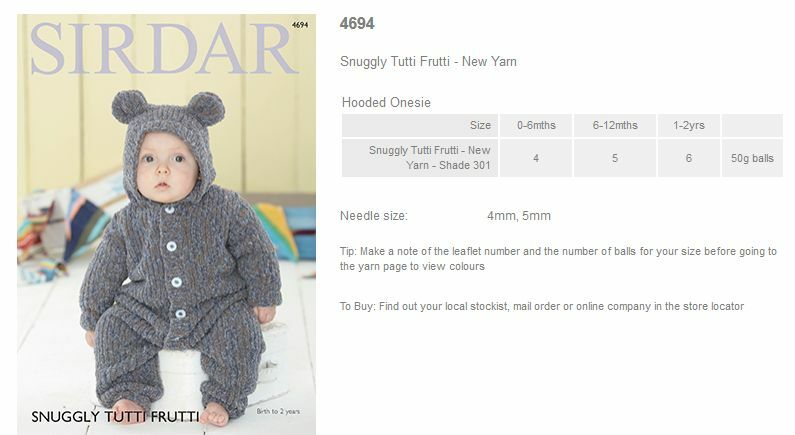 4694 - Hooded Onesie using Snuggly Tutti Frutti Leaflet with designs for a Hooded Onesie using Snuggly Tutti Frutti. 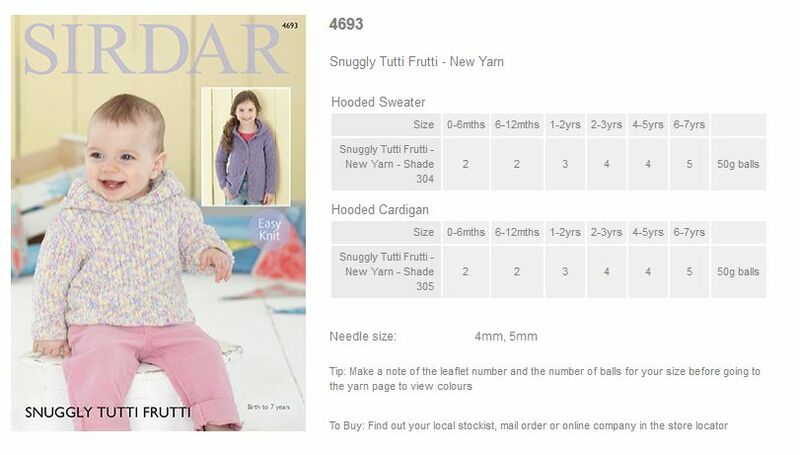 4693 - Hooded Sweater and Hooded Cardigan using Snuggly Tutti Frutti Leaflet with designs for a Hooded Sweater and Hooded Cardigan using Snuggly Tutti Frutti. 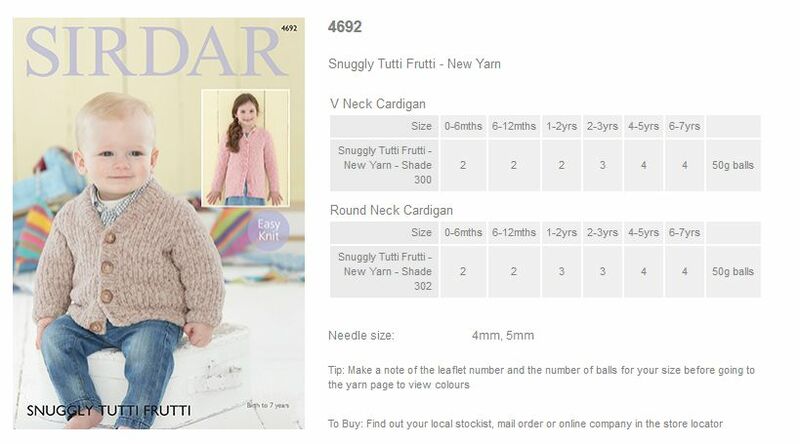 4692 - V Neck Cardigan and Round Neck Cardigan using Snuggly Tutti Frutti Leaflet with designs for a V Neck Cardigan and Round Neck Cardigan using Snuggly Tutti Frutti. 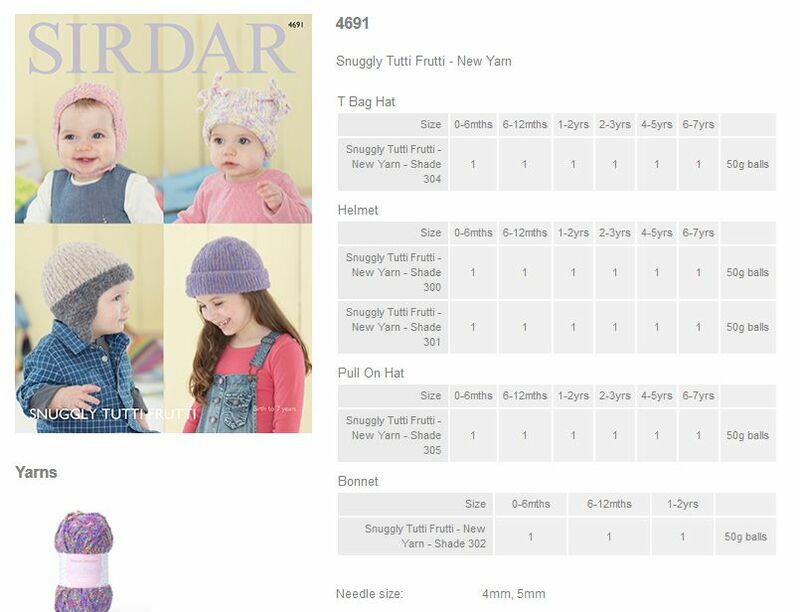 4691 - T Bag Hat, Helmet, Pull on Hat and Bonnet using Snuggly Tutti Frutti Leaflet with designs for a T Bag Hat, Helmet, Pull on Hat and Bonnet using Snuggly Tutti Frutti. 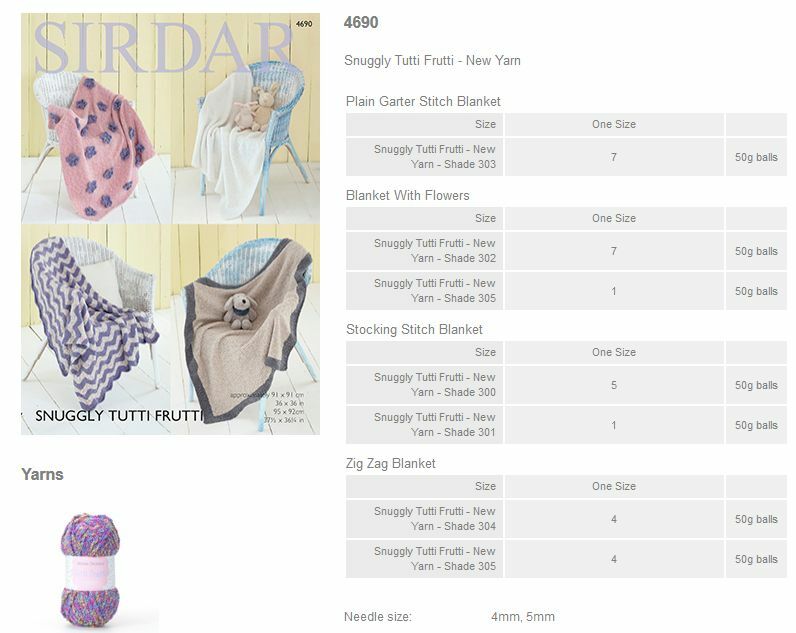 4690 - Blankets using Snuggly Tutti Frutti Leaflet with designs for Blankets using Snuggly Tutti Frutti.